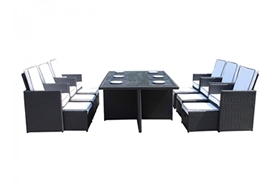 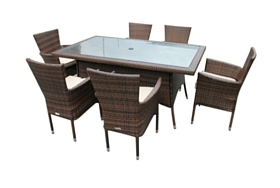 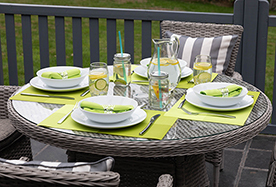 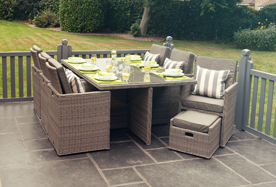 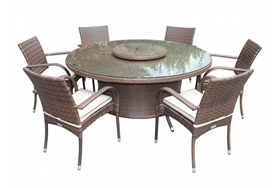 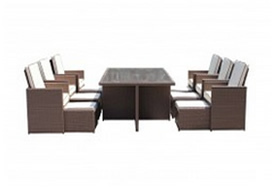 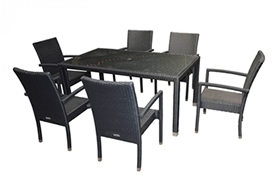 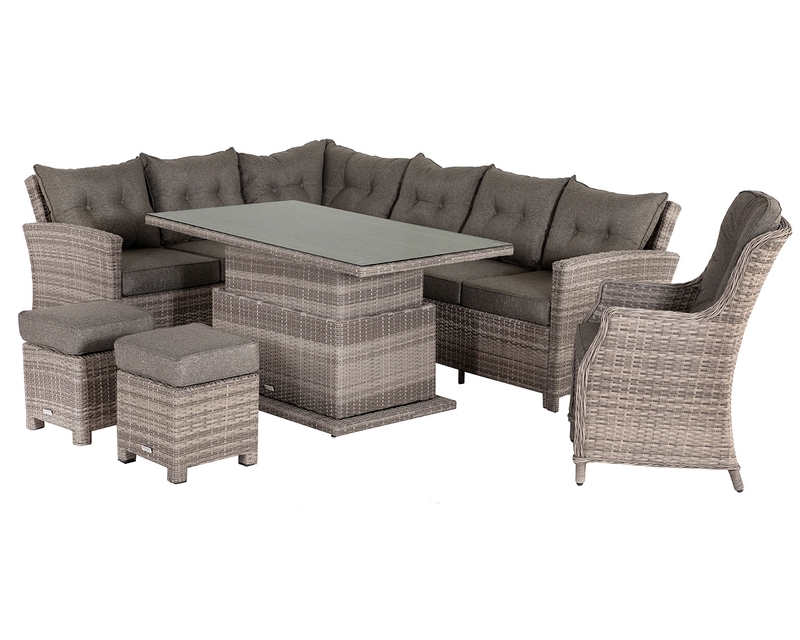 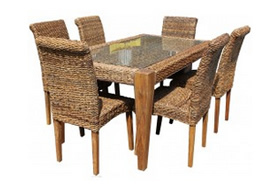 Whether you're enjoying a family meal in the sunshine or whether you just want to lie back and soak in the rays, this Cambridge dining set will not only look great in your garden but will also offer you the ultimate in comfort whether reclining back or sitting upright. 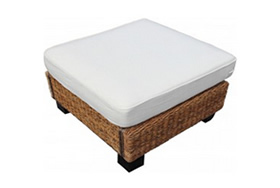 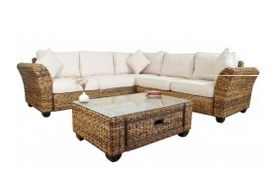 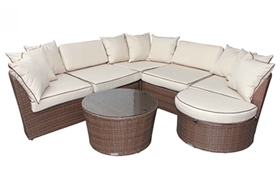 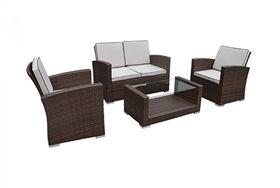 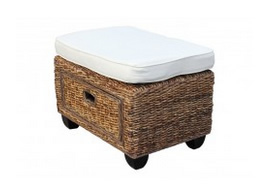 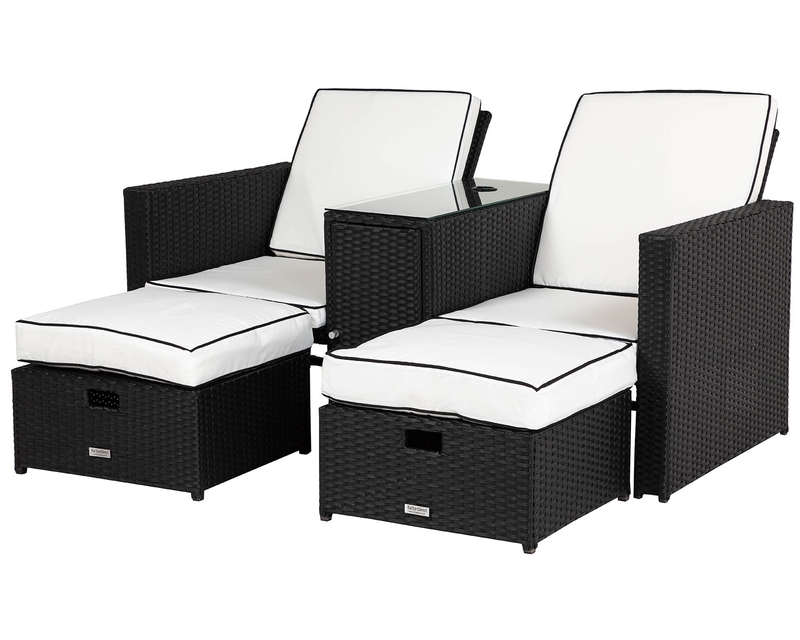 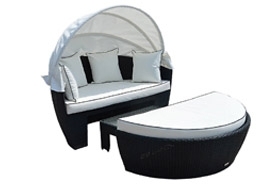 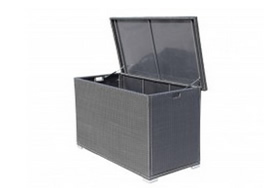 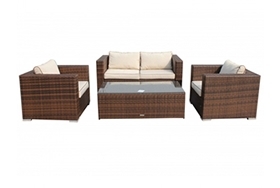 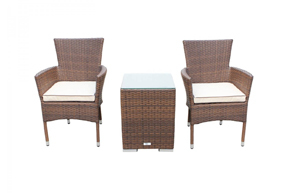 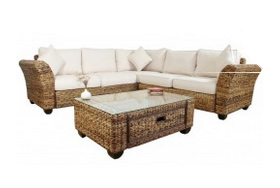 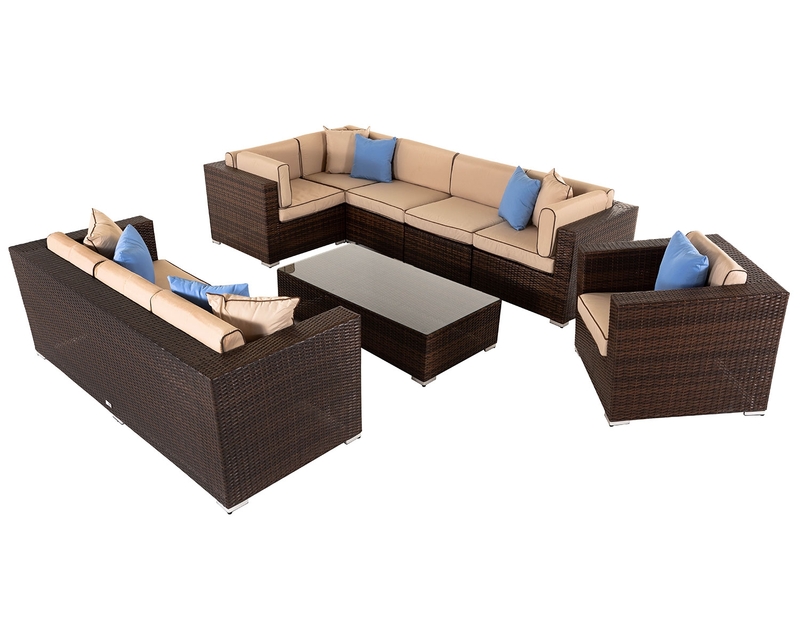 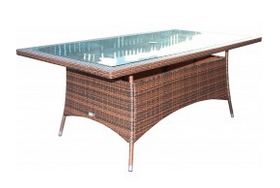 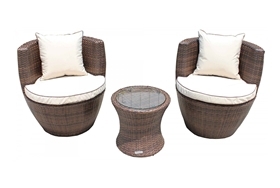 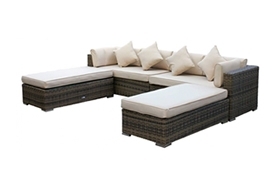 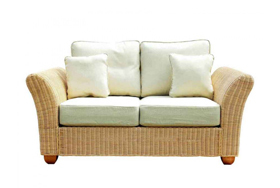 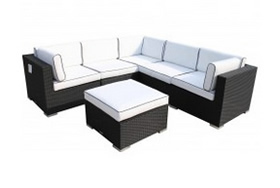 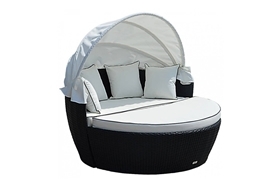 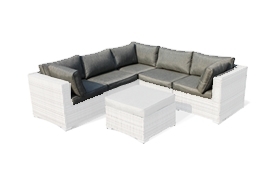 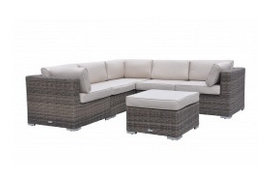 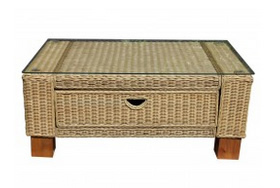 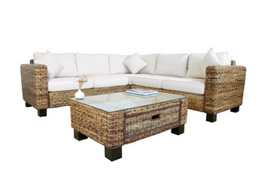 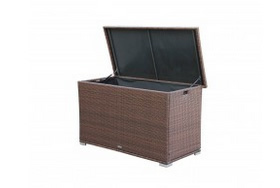 The stylish chocolate synthetic rattan weave is hard wearing and will last for a long time while the attractive coffee cream cushions are showerproof for extra convenience. 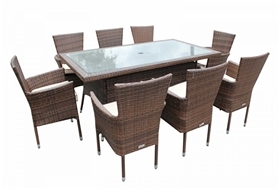 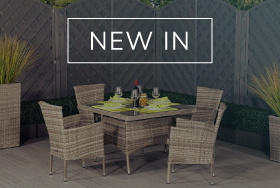 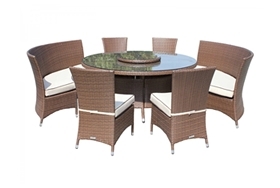 You can be confident when you select the Cambridge outdoor rattan dining set that your purchase will stand up perfectly to both winter and summer weather thanks to the integrated anti-fade, anti-UV damage protection. 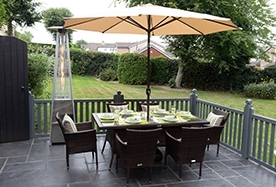 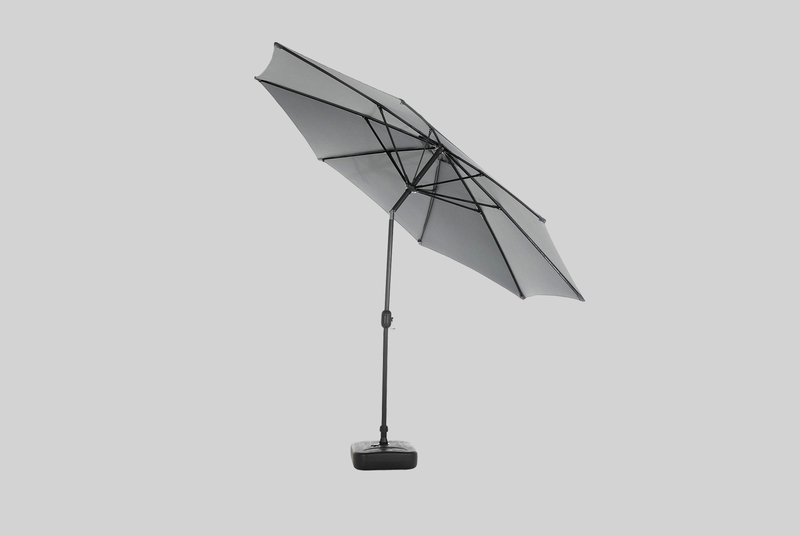 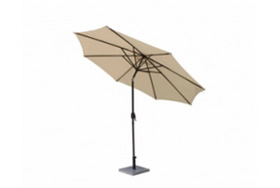 With an included rain cover, this set will also enjoy optimal protection from the worst of the winter weather, while its rust protection in the form of its powder coated frame will ensure that this set can stay outdoors all year round. 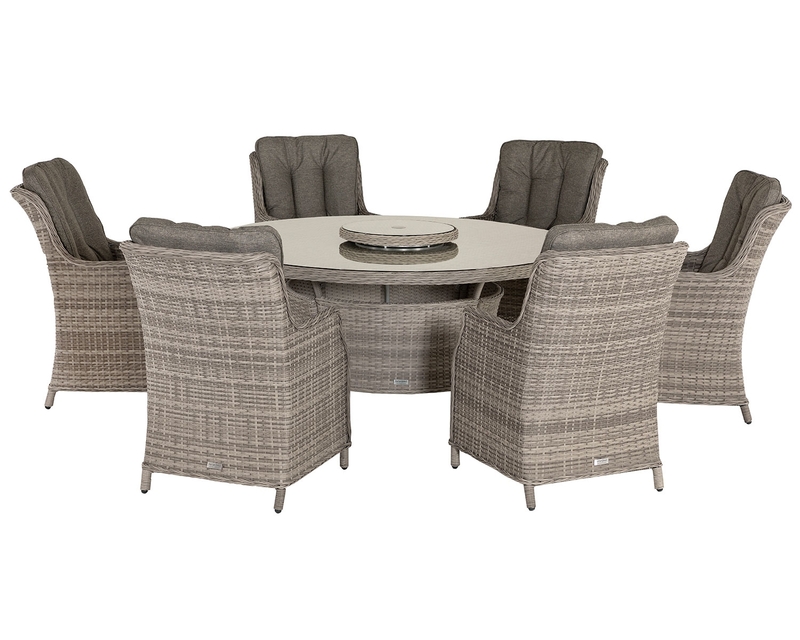 When low maintenance is the only way forward, the Cambridge dining set will tick all the boxes thanks to its easy care in house design. 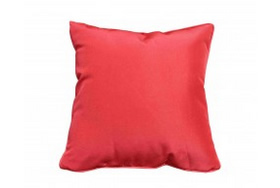 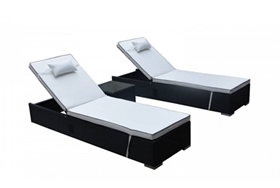 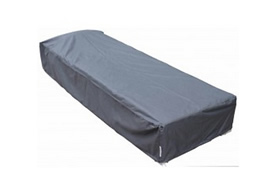 The cushion covers are removable for machine washing to keep them looking their best, while the two year structural warranty that protects this set ensures that buyers will have complete confidence in the value and quality of their purchase. 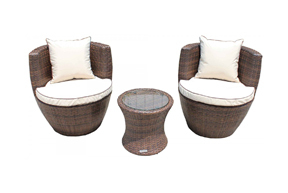 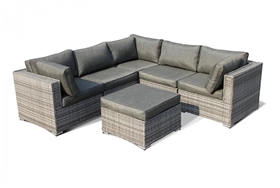 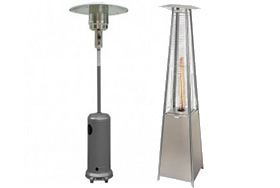 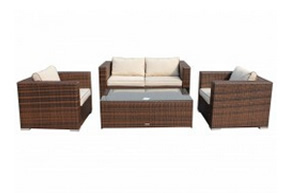 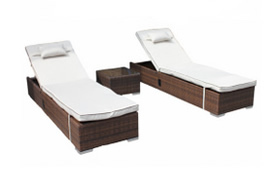 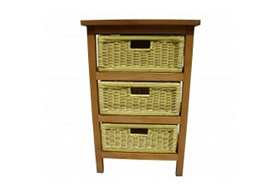 Delivered to your door anywhere in the UK, this beautiful set will complement any style of garden.